Bowmanville, Ontario (6 July 2017) – As the IMSA Prototype Challenge presented by Mazda season builds the revs heading into the second half of the season, Kelly–Moss Road and Race (KMR) returns to race action at Canadian Tire Motorsport Park just days after a breakthrough race weekend at Watkins Glen International. Back behind the wheel of the No. 14 Ignite / Mattoni Water / Edoardo Borrelli / Ernst Kelly–Moss Road and Race Benz / Sherwin Williams / Replay XD Norma M30 is longtime KMR driver Colin Thompson. Thompson is no stranger to the undulating Canadian Tire Motorsport Park circuit, with multiple wins at the track in the GT ranks. He aims to put that race-winning experience to good use this weekend with a return to Victory Lane. 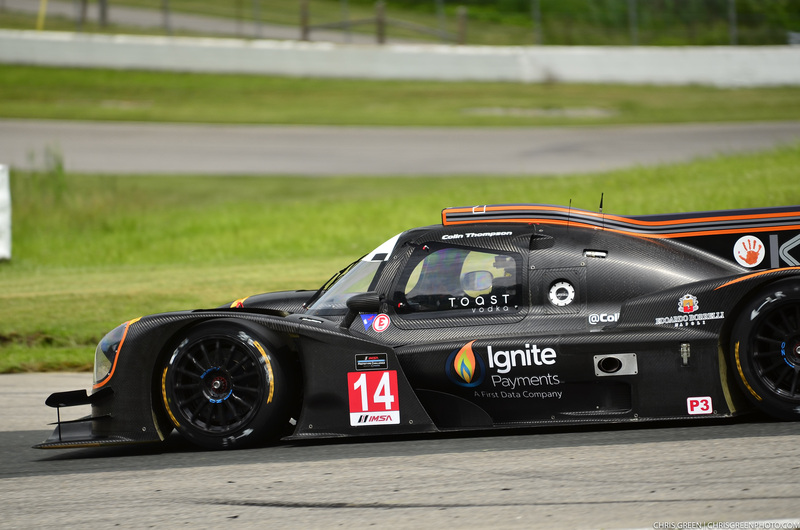 After stepping up to the Prototype Challenge presented by Mazda series for the 2017 race season, Thompson has accumulated four podiums in the category so far this year. He broke through for victory in Race 1 at Watkins Glen last weekend when he not only claimed the pole position but went on to lead all 20 laps of the race. He followed that up with a remarkable drive in Race 2 after an early race spin in some treacherous rain conditions saw him fall deep in the pack. Undeterred, Thompson drove back through the field in those challenging track conditions to take a third place podium finish. 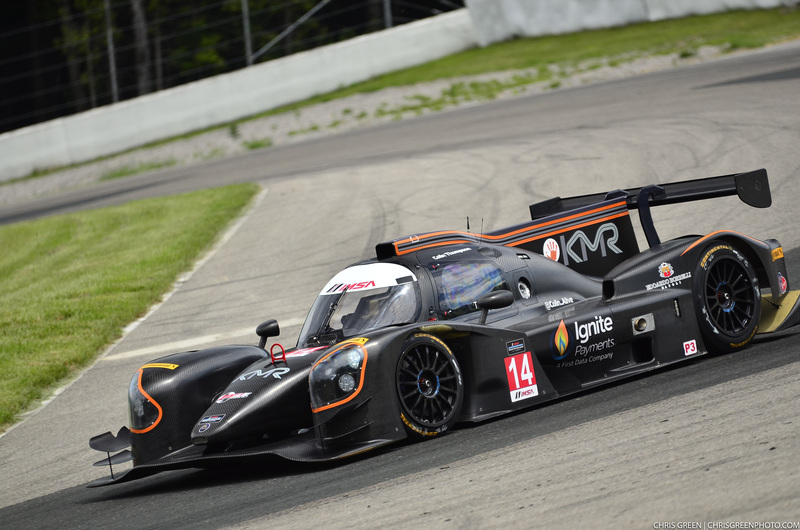 As KMR travels to the 2.459-mile fast and sweeping Canadian Tire Motorsport Park circuit, Thompson is looking forward to the increased speed of the No. 14 Ignite / Mattoni Water / Edoardo Borrelli / Ernst Kelly–Moss Road and Race Benz / Sherwin Williams / Replay XD Norma M30 at the daunting road course, as he races there for the first time in Prototype machinery. The Canadian Tire Motorsport Park weekend kicks off on Friday with two practice sessions. Race 1 is set to go green on Saturday at 5:30 PM ET and Race 2 will go green Sunday at 9:30 AM ET.